The Elder Scrolls Online subscribers get different free features over the coming week. That’s what Bethesda reports today through a special event for ESO. 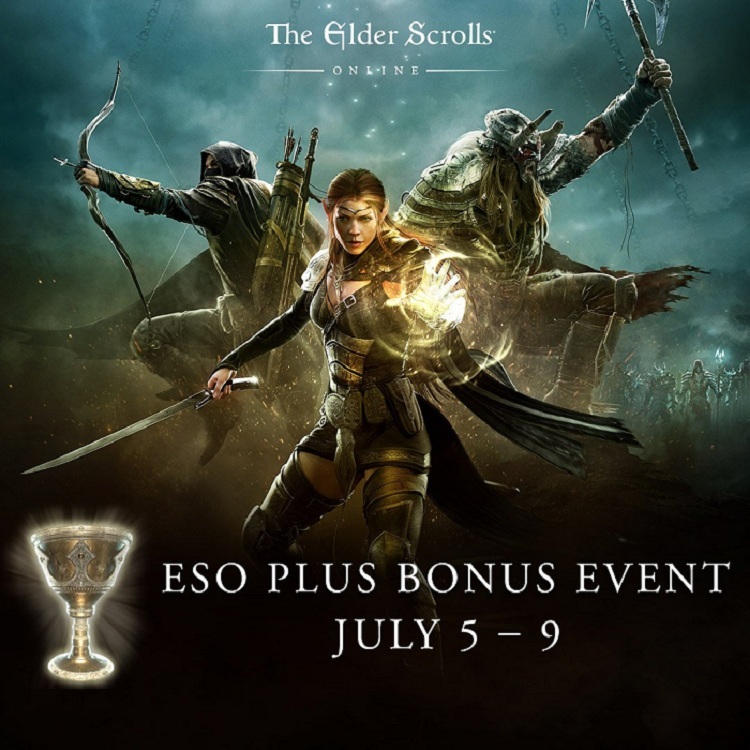 The ESO Plus Event, as Bethesda calls the event, will start on July 5th and end on July 9th. If you are a subscriber of ESO Plus, or if you are unsubscribed, you can count on different rewards for a few days. For example, you get a Dwarven Crown Crate every day when you sign up. These rewards can include mounts, pets, costumes, consumables and other items. These Crates are delivered on July 17th. If you do not have ESO Plus, you can try it for free during the ESO Plus Event period. If you do not get the Dwarven Crown Crates then you must be a paid subscriber, the subscription costs fifteen euros a month. With the ESO Plus trial you get access to all the DLC that have been released so far, the newly released extension of Morrowind is not included. However, gamers get unlimited storage for crafting materials, double bank space, 10% increase to Experience& Gold acquisition, Crafting Inspiration, and Trait Researchrates and if you subscribe you will also receive 1500 Crowns per month. On June 6th, The Elder Scrolls Online released Morrowind on PC, Xbox One and PlayStation 4. The large amount of new content and the addition of the new class are big plus points over the previous game.